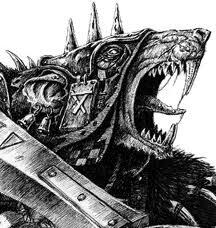 "Skitterleap" Warhammer Fantasy Tournament is just over a month away. The event caters for all skill levels but is targetted at encouraging the hobby aspect. To this end, one requirement of entry is that your army must be fully painted to a tabletop standard - three colour minimum, basing and movement trays for ranked units. There is plenty of space available and you will be guaranteed the opportunity to compete against a great bunch of gamers on good quality tables. If you have signed up, we'd love to see you. Wish I could afford to come down, sounds like it'll be an awesome event!